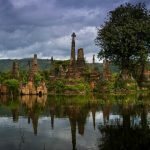 This suggested Inle Lake day trip to Sagar deliver you a great opportunity to explore the largest freshwater lake and also most iconic beauty of Myanmar. 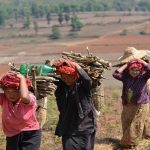 Embark on an amazing boat trip to discover the life on the water of Intha people and their exceptional way of farming then proceed to Indein to join in the lively 5-day rotating market. Ultimately, reach Sagar – the dramatic peaceful village to discover the hidden treasure of the country. Mingalaba! 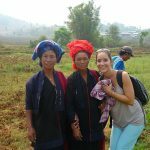 Welcome to Inle Lake where your dream of drafting on an amazing boat trip to explore the life on the water become real. 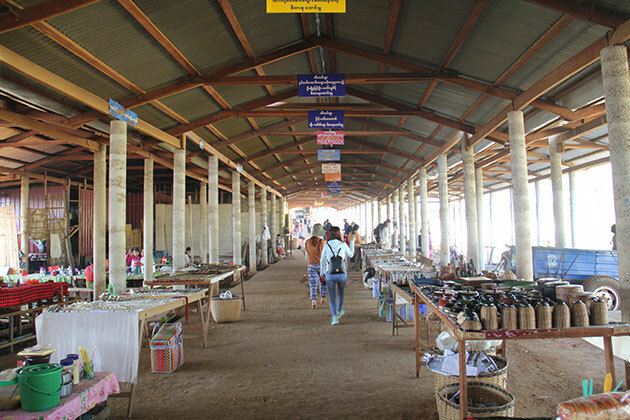 This morning meet and greet your Myanmar local tour guide and start with visiting the morning market and see how interesting is it. Next, continue your breathtaking trip through the scenic route to reach the idyllic Indein Village. The simple beauty, as well as the attractive relics, ensure to never make you down. Afterward, proceed to the “long neck” tribe to greet and get to know about the story behind the big rings that lengthen their necks day by day. Don’t miss your chance to explore the exotic Temple Complex that has gone through over 1000 years. Ultimately, enjoy the most highlight of the day in the sunset time to slowly feel the tranquil ambiance, touch to the light breeze, behold the iconic image of leg-rowing fishermen who are always delighted to see travelers. Continue your fantastic tour in Inle lake with a boat trip to Sagar this morning as you head toward the south of Inle Lake. Enjoy your fabulous ride while beholding numerous birds species of the regions includes both indigenous and migratory. 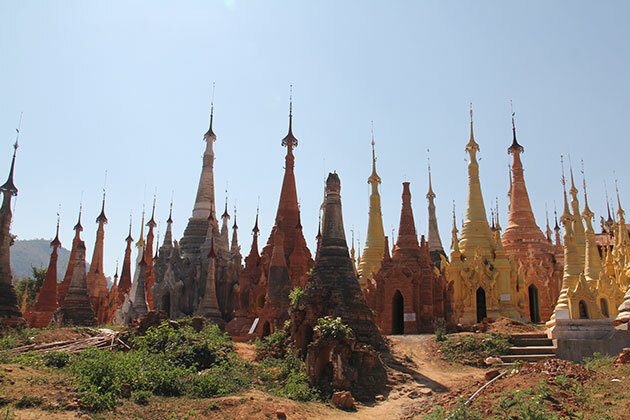 Your first stop today is the “sunken” stupas of Sagar where you can marvel at 108 stupas from the village. 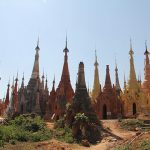 Next, proceed to the Thaya Gone village after gazing out at the local monastery and capture a chance to climb up to the top of the hill and take a glimpse to the panoramic view surrounding. 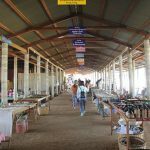 Then head to the idyllic Sae Khaung Pottery Village where you can witness the traditional handicraft of making oil and water pots as well as the breathtaking scenery and long-lasting culture. 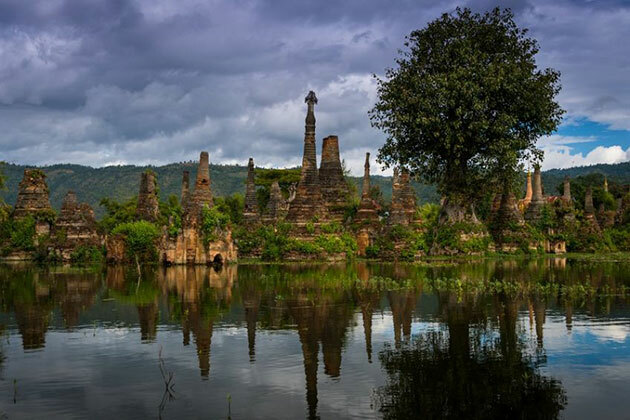 Fulfill your dream trip in Inle Lake by a short visit to Tar Kaung in the afternoon to wander around over 200 stupas which delivers you a chance to take nice photos. Overnight in Nyaung Shwe.